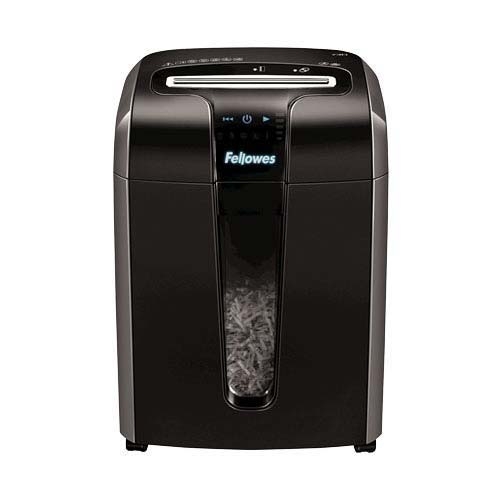 Fellowes Powershred® 73Ci Jam Proof Cross-Cut P-4 Shredder. 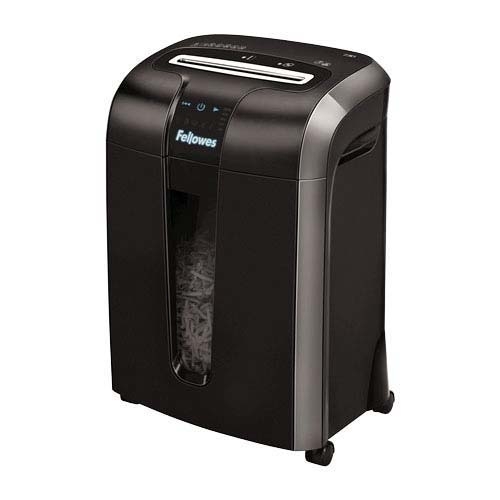 Fellowes Powershred® 73Ci 100% Jam Proof Cross-Cut Shredder can shred 12 sheets of paper per pass into 5/32 x 1 1/2" with security level p-4 cross cut particles. 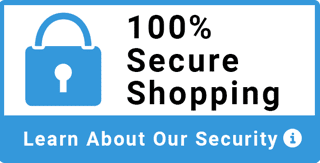 It is sleekly designed with innovative features. 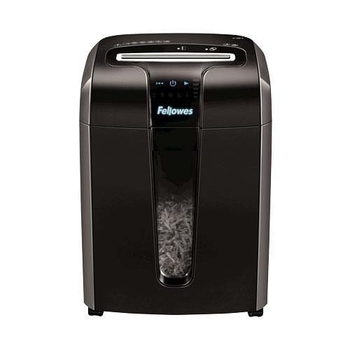 Fellowes Powershred® 73Ci is equipped with a safe sense® touchscreen technology. 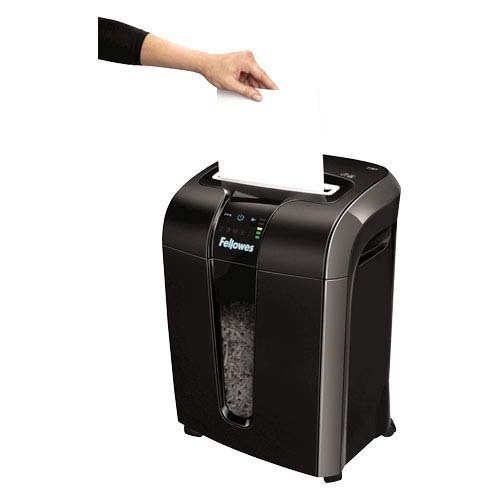 It is inbuilt with 100% jam proof technology that eliminates paper jams through tough jobs. 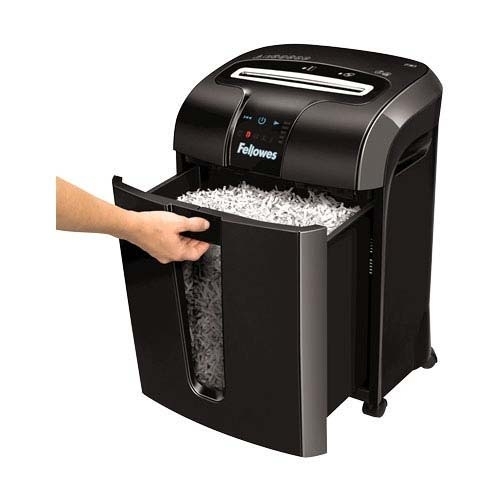 Fellowes Powershred® 73Ci shreds staples, credit cards, Dvd's, and paper clips. 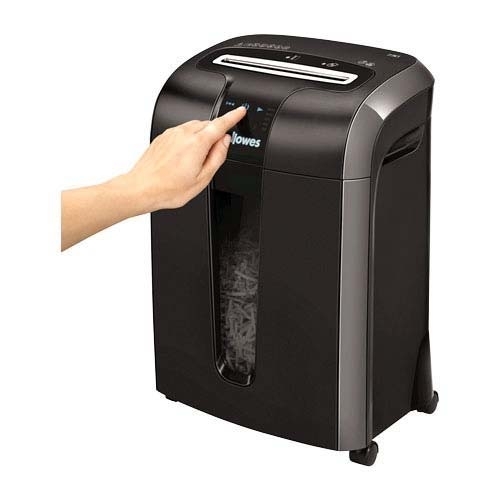 This is perfect for small office and home shredder.